Imagine a world that is cooperative, tax-exempt, self-governing, ecologically sustainable, with abundant resources and plenty of jobs. Perhaps its not possible everywhere or just too complicated, but it is possible in the most critically endangered areas and ecosystems in absence of government integrity and presence of poverty. The United Nations has been working toward similar goals in recent years, now today they are in control territorially of hundreds of world heritage landmarks through UNESCO demonstrating sustainable models and ideals. Through cooperatives the people of a particular region, town, city, village or territory can do the same thing as the United Nations by transforming their societies into ecologically sustainable human settlements under the protection of Agenda 21. Most countries in the world and most states in the United States have an act or statute that provides for the development of locally owned cooperative enterprises. Cooperative﻿ law from country to country varies greatly relative to governmental involvement, empowerment, and protection, but in essence are the same in function, are mostly nonprofit, nontaxable, and are all owned, operated, and benefitted from by their own members. People benefit by being members of cooperatives through the new markets they create, dividend sharing income, and if they work for the cooperative a regular paycheck. In most countries cooperatives pay tax to do business with the public, but in the case of large cooperatives that are self-sustaining and multi-stakeholder in nature there is mostly complete tax exemption when doing business with fellow members. In some countries cooperatives must be incorporated in others they are registered or chartered when they are constituted under guidelines established by the International Co-operative Alliance (ICA) in Geneva. Additionally best practice cooperative development guidelines are assimilated and strengthened through several departments of the United Nations﻿ which are committed to promote the benefits of cooperatives over corporations. All cooperatives once registered or incorporated enjoy the same general privileges as private companies, large corporations, churches, non profit organizations, and are they are empowered to trade internationally under admiralty and maritime law from their seaports and airports. Normally this type of trade is regulated by nation's customs laws with taxes or duties; however there are very great exceptions for cooperative trade because of the cooperative member beneficiaries impunity to government regulation working within the nationally owned cooperative as someone exempt of customs as a national member. Cooperatives are always managed and regulated by the members through their bylaws and usually made up of people from within the communities or regions which they are founded. Some countries will only permit their own regulated national citizens to be the founding members. 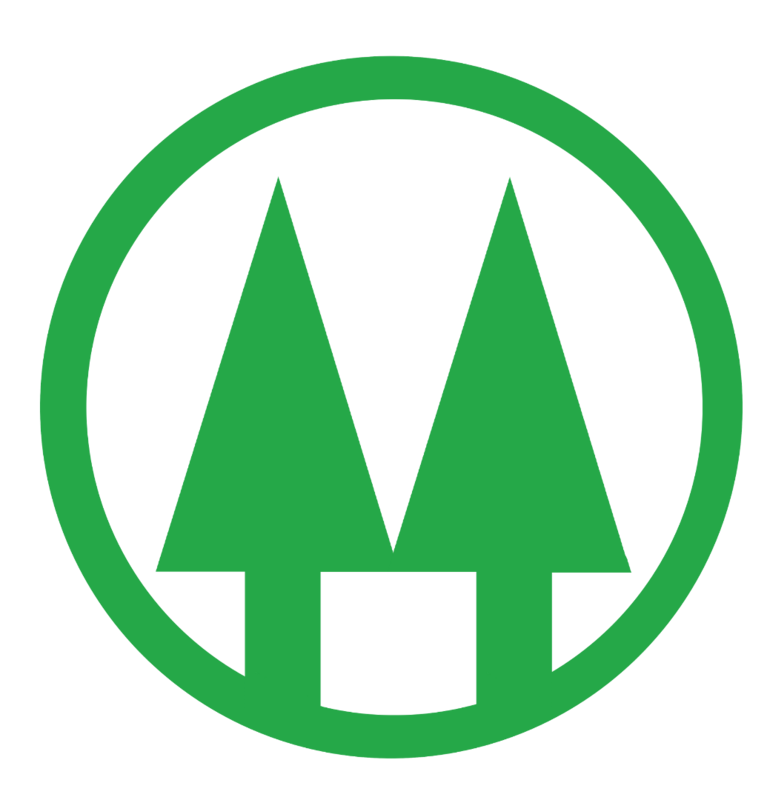 In 1994 I founded Ecology Crossroads Cooperative Foundation in Lexington, Kentucky﻿ as an organization empowered to develop/operate cooperatives and promote charitable works involving communities and ecology. We distributed 10,000,000 trees for planting to our members and supporters during our first years. We were successful in the reforestation and beautification of over 50 US cities through community participation and cooperative spirit. Today we are working through Globcal International (a cooperative development established in 2009) to bring eco-socioeconomic collectives and model cooperatives that are self-governing, sustainable, nonpartisan, and nonreligious to communities around the world through "international cooperation." The ideal we have been working with and researching is the development of an international non-governmental corporation that is independent from the state and capable of partnering internationally as if it were a sovereign entity. Now through Globcal we are managing this through the development of a model "Cooperative International Non Governmental Organization" (CiNGO). 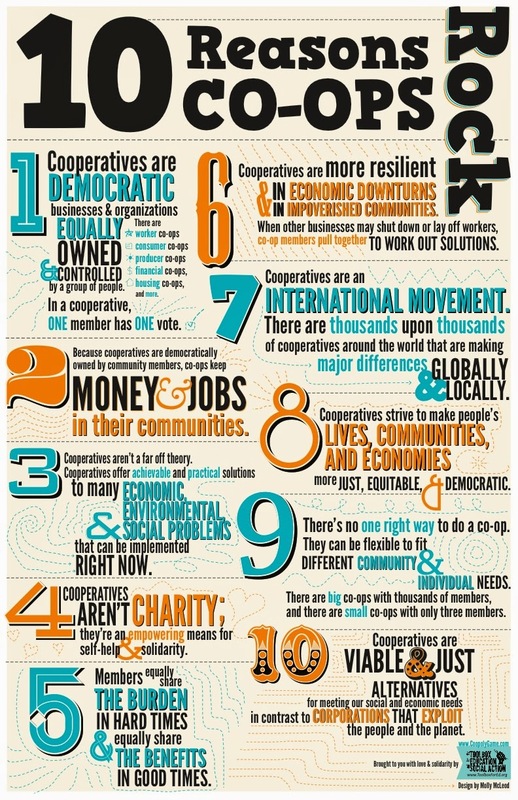 Poster with 10 reasons "Co-Ops Rock." The CiNGO we are overseeing is being developed to result in a transparent formation of integral self-governing self-sufficient communities, ecological villages, and sustainable human settlements under international treaties and conventions with the United Nations, international non governmental organizations, governments and intergovernmental organizations. Currently we are primarily working with rural projects and peoples with the potential to become self-reliant working to provide ecosystem services, cultural tourism, and sustainable agroforestry production; however the model is adaptable for fishing villages, islands, indigenous reservations, cultural regions, isolated towns and even small countries with the right participation and cooperation principles in place. Successful semi autonomous thriving populations exist and thrive using these cooperative community oriented ideals within nations, a good example are the Mennonites of Belize, Canada and Mexico, there are quite a few others too if you look for them. People generally associate with organizations and associations because they provide them with social groups that share their interests or fulfill their needs in other ways through their beneficial work. They support corporations for their jobs and to fulfill their basic needs in a mass society without limit. With the cooperative its deeper than that because the cooperative participant is a vested shareholder, investor, employee, participant, and protagonist fulfilling his or her own needs. In January 2015 Globcal is making the CiNGO transformation practical with the incorporation of two, perhaps three model international cooperatives. The organizations will be multipurpose, multi-stakeholder, have charitable community integrity, be nongovernmental, nonpartisan, nonreligious, nonmilitary, nonprofit and nondiscriminatory in nature. The beneficiaries will be the cooperative members, employees, associates, volunteers, and the communities that support them. 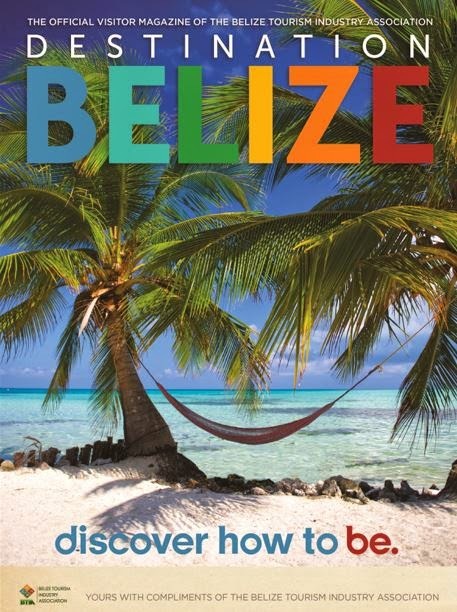 One is located in Venezuela and the second is in Belize, these two nations were selected because they have special favorable diplomatic commercial and political relationships that are interdependent and involve commerce as well as barter, trading sugar for oil. The other nation that is drawn into the fold is the United States through the development of an international travel cooperative in Puerto Rico in the short term, once we find an appropriate endowment or establish a charitable foundation there. Similar multistakeholder developments exist in England, Sweden, China, the Philippines, and even Russia now, but few are developed to the extent that they empower themselves to operate banks and become capacitated self-governing autonomous entities within states. Currently we want begin a project to teach others online through open-sourcing and sharing our actual experience with our projects in formation through the social media. We are authoring a manual now and preparing a video for release in the immediate future to demonstrate step-by-step the process for creating your own independent society and autonomy through the development of an international cooperative to satisfy the real need to take control of our destinies. 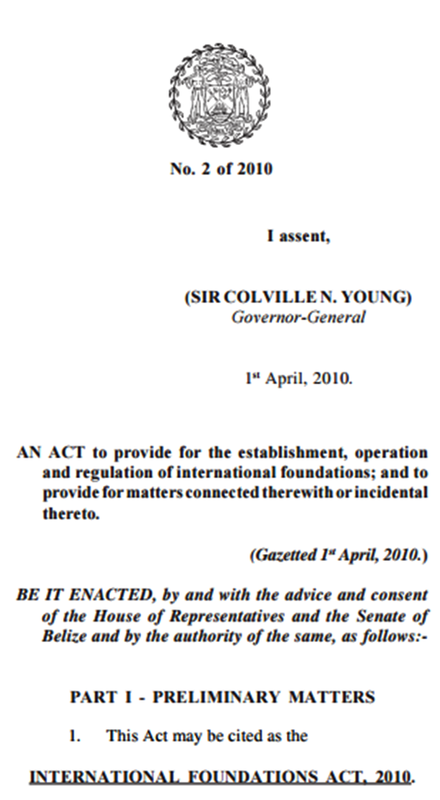 It's my personal hope that groups of people who suffer under oppression or who are threatened by cultural assimilation can use our CiNGO model system under their own governments laws to gain personal autonomy, empower themselves, and gain equality through new treaties or agreements with government and through other treaties and conventions already established as members of the United Nations. The only requirement is a sustainable commitment and the desire to remain culturally independent and in this case cooperative with your international neighbors. Globcal﻿ has taken this to the next level under Ecology Crossroads by developing an international cooperative system that is full circle in small autonomous communities capable of self-sufficiency and becoming ecologically sustainable. Please join us as an ambassador of Globcal International or as a patron of our cooperative foundations in Belize and Venezuela. We have many new opportunities for those who are highly motivated to succeed, committed to their communities, and dedicated to living sustainably with the environment.